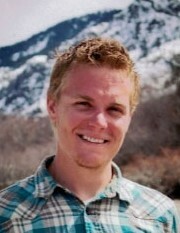 Max William Schultz, 24, a wonderful son, brother, uncle and partner passed away January 18, 2019 at his residence in Lewiston, Utah after journeying through a long battle with Acute Lymphoblastic Leukemia. He was a great example of strength, endurance and positivity. Max was born on February 28, 1994 in Rock Springs, Wyoming to Chris Hadley and Kathryn Park Schultz. Max graduated from Sky View High School in 2012 and was an Eagle Scout of Troop 324. He thrived outdoors, you could find him hiking and camping up Cherry Peak and High Creek, shooting guns with friends and family. He especially loved working with his hands, baking bread, building models, painting, drawing, working on his 1977 Blazer and blacksmithing in a forge he built. Max had the biggest heart and was willing to help everyone. He is survived by his wife Lacy Cleland, of Lewiston; his parents Chris and Kathryn Schultz of Richmond; his siblings Melanie (Jacob) Kopenhefer, Angela Schultz, Kimberly Schultz, Ronald Schultz, and Olivia Schultz. He is also survived by two nephews Harrison and Gilbert Kopenhefer, niece Vera Kopenhefer and Lily his dog. His family would like to acknowledge and give so many thanks to Lacy, the love of his life, for being a constant caregiver through this battle. A special thanks to the Cleland family for taking Max into their lives and home. The family would like to give thanks to all the doctors and nurses at Logan Regional Infusion Clinic, the LDS Hospital East 8th floor and ICU team. Services will be held on Friday January 25, 2019 at 12:00 noon at Webb Funeral Home in Preston, Idaho. A visitation and celebration of Max will be held Thursday from 6-8 p.m. at Webb Funeral Home and Friday from 10:00-11:30 a.m. also at the funeral home. Interment will be in the North Logan Cemetery. Memories and condolences may be shared with the family at webbmortuary.com.